Patrick Wyrick, state solicitor general, speaks during a June 21, 2011 Oklahoma Supreme Court hearing concerning the transfer of a little more than $100 million from a state transportation fund used to help balance Oklahoma’s state budget. A Senate committee will vote Thursday, June 14, on Oklahoma Supreme Court Justice Patrick Wyrick’s nomination to become a federal judge in Oklahoma’s Western District. Though he’s expected to be confirmed along party lines, the process has opened Wyrick up to scrutiny about his work under former Oklahoma Attorney General Scott Pruitt, who now heads the Environmental Protection Agency. 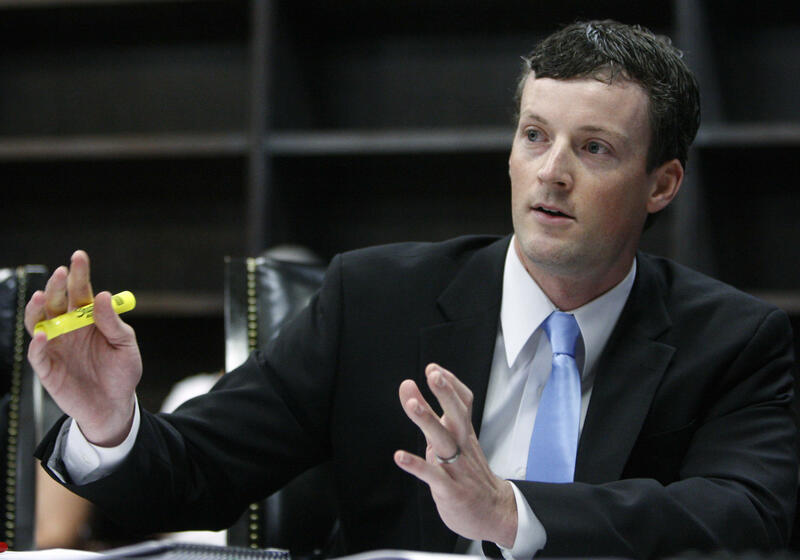 In a May 23 hearing of the Senate Judiciary Commitee Patrick Wyrick was scrutinized for his work under Oklahoma's former attorney general, Scott Pruitt. When Wyrick was nominated in April, Dean Joseph Harroz of the University of Oklahoma’s College of Law spoke highly of the 37-year-old Wyrick, who previously served as Oklahoma’s Solicitor General, the lead appellate attorney in the state attorney general’s office. Sen. James Lankford, R-Oklahoma, echoed those sentiments when he introduced Wyrick in a May 23 hearing for the Senate Judiciary Committee. “He is a very capable attorney and judge, and will continue to serve Oklahoma and the national well,” Lankford said. 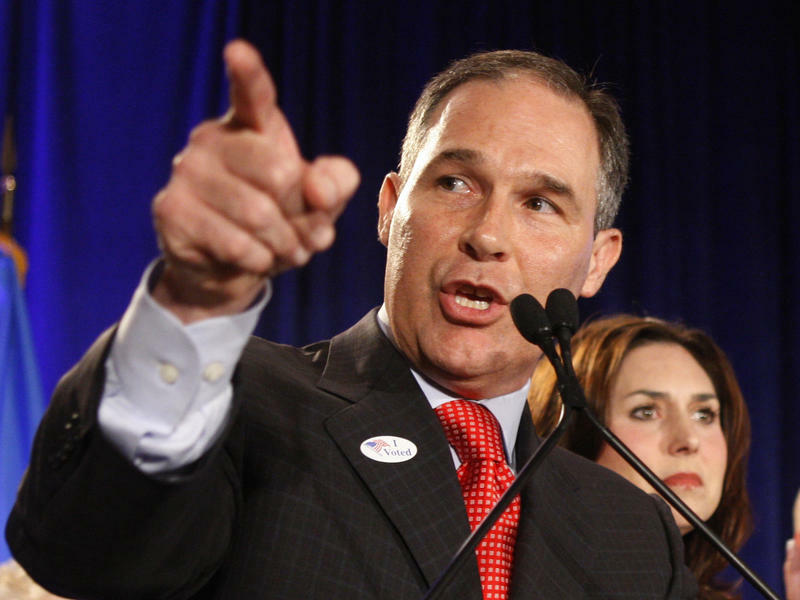 But during the course of that hearing Sen. Sheldon Whitehouse, D-Rhode Island, grilled Wyrick on his 2011 correspondence with a lobbyist for Devon Energy— a company Wyrick previously held stock in and that donated to Scott Pruitt. Wyrick maintains he does not recall the email exchange, which was made public under Oklahoma’s Open Records Act. Whitehouse brought up another draft letter sent to Wyrick from the same Devon Energy lobbyist before making a more general point. “I wonder how you could expect anyone representing the EPA or an environmental organization to feel that they would get a fair shake in your courtroom,” said Whitehouse. Following Thursday’s committee vote, Wyrick’s will have to be confirmed by the full Senate. Oklahoma Gov. Mary Fallin has picked her state’s solicitor general to serve as the newest member of the Oklahoma Supreme Court. 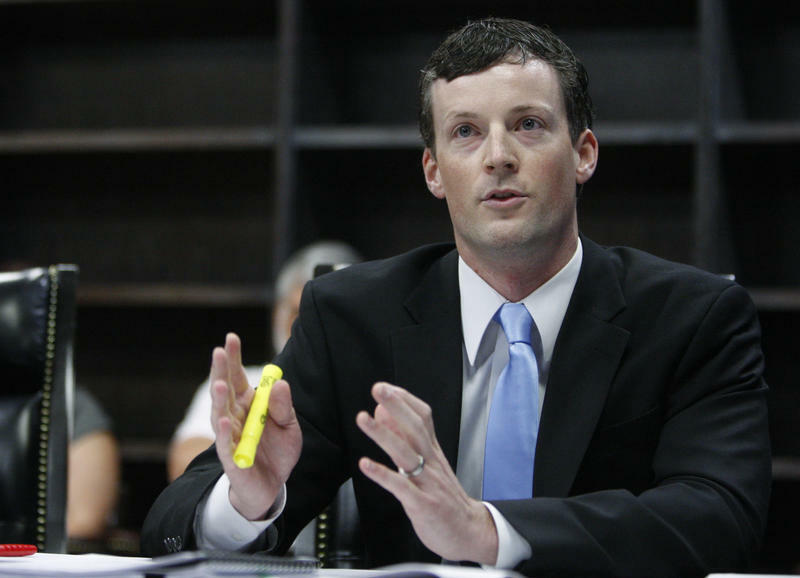 Patrick Wyrick, 35, has been the solicitor general in the state attorney general’s office since 2011. He will succeed Steven Taylor, who is retiring. Wyrick will serve as a justice from Oklahoma’s 2nd Judicial District, which encompasses much of southeastern Oklahoma.